Maybe they do have snowflakes in Hell. 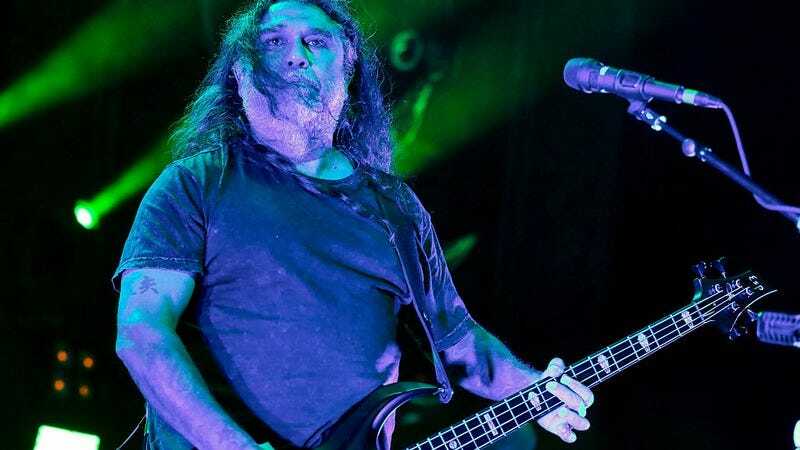 Slayer’s Tom Araya certainly seems to be sensitive of late, continuing to complain about people complaining about a Photoshopped image of Slayer hanging out with Donald Trump back in January. At the time, Araya seemed to take pleasure in trolling fans who objected to the image, writing, “I never would have guessed that there where so many snowflakes commenting their distaste for the new president. Like him or not he is the president,” after he re-posted the photo—which was initially taken down, presumably by a moderator—on the band’s official Instagram page. As The A.V. Club’s David Anthony pointed out a few months back, Slayer has a history of flirting with extreme right-wing politics, for which it has been roundly criticized in the past. Araya doesn’t seem to have learned from those experiences, though, doubling down on his curiously defensive critique of how defensive Americans are these days on Chilean radio. “That’s what America has become. It’s become a bunch of people that, because they didn’t get their way, they’re mad,” he told Futuro. “I shared a picture that I thought was funny. They can’t even joke. They can’t even laugh at themselves. They can’t even have fun. And that just is amazing that it’s come to that. We’re a nation of crybabies.” Araya went on to explain that he had personally posted the picture after his wife showed it to him and he “thought it was funny because of all the rhetoric that Donald Trump is getting and how everybody hates him.” He added, “I’m in Slayer, and being in Slayer, sometimes you do stuff like that just to piss people off,” which, to be fair, is a pretty metal thing to say.